By now, you probably know all about the physical and mental benefits of yoga — you’ve likely experienced them for yourself. But the potential perks of a yoga practice don’t end with the physical asanas. We’re starting to see more yogis than ever who are not only strong and flexible, but they’re also extremely conscious individuals who are concerned with the inequalities that exist all over the world, and they’re making it their life’s work to share the healing properties of yoga. Whether it’s underserved women in developing countries or inner-city kids in our own backyards, there is probably a nonprofit organization that uses yoga to help these communities in a positive way. Often times, we get caught up in the materialistic side of yoga, like which brand-name pants hold up best or which water bottle lasts the longest. But the yoga teachers who run these organizations know there is much more to the practice than what our society markets to us. I’ve had the honor of meeting a few of these influential people and they inspire me to think of the practice in a different light. They’re taking yoga out of the pristine studios and out into the world — to the remote places where yoga isn’t easily accessible. Here are five yoga nonprofits that are making our world a better place. According to the Give Back Yoga Foundation (GBYF), everyone deserves to benefit from the transformational practice of yoga, no matter where they come from. The organization was cofounded by Beryl Bender Birch and Rob Schware and has since grown to include a large team of well-versed staff members. They regularly run teacher training programs and always welcome folks to get involved by volunteering. Bringing yoga to disenfranchised communities is their calling. Their Mindful Yoga Therapy is a program devoted to serving veterans coping with brain injury, PTSD, and other related disorders. It helps our warriors, as they call them, and families find calmness and peace through yoga and meditation. They’re working on putting together a free multimedia guide that will be available to 30,000 military service members. Additionally, GBYF created the Prison Yoga Project to help incarcerated men and women turn their lives around, therefore reducing recidivism rates. These are just two of many of their effective programs. The first thing you see on the homepage of Bent On Learning’s website is a slideshow of irresistibly cute kids doing yoga postures with this quote at the top: “Some of the most important lessons kids learn happen at a desk. Some happen on a yoga mat.” This nonprofit organization is dedicated to helping inner-city children in New York City public schools become healthier and more balanced through the practice of yoga. It’s been around since 2001 and has touched the lives of almost 18,000 kids. 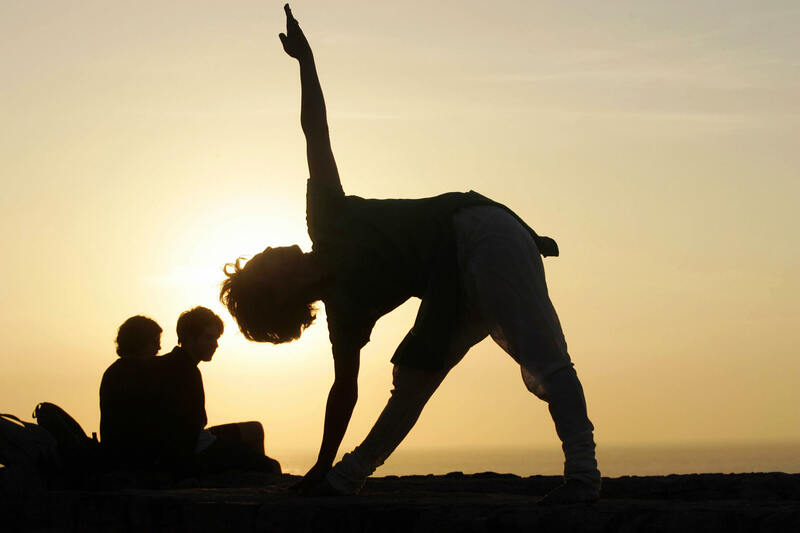 BOL keeps us up to date on the latest scientific research that proves how beneficial yoga is for our youth: One study showed a 93 percent decrease in violence and aggression; another shows higher test scores and improved emotional responses. Overall, it's impossible not to see the happiness yoga brings to these less fortunate children. Should anyone want to get involved, they offer training programs to yogis of all abilities. In 2007, the Africa Yoga Project got off and running in Kenya. The organization promised to use yoga to cut across race, gender, age, and socioeconomic lines in order to bring positive change to people’s lives. They have expanded to more than 80 locations, offering over 300 free yoga classes a week to 6,000 individuals. They aim to empower the Africans, especially youth, by improving their physical and emotional health. In Nairobi, Kenya, is the Shine Center, a school and community-run enterprise that offers yoga classes to people of all ages and abilities. The Africa Yoga Project thrives off of its volunteer programs, such as the Seva (which means selfless service in Sanskrit) Safari. You have the opportunity to help hundreds of Kenyans strengthen their sense of self as well as work with powerful leaders from all over the world. Yoga Hope, a Boston-based entity, reminds us that women are the changemakers in the world; the ones who have been oppressed deserve healing so they can continue to make a difference in our society. They’re devoted to rehabilitating women across the globe who have been traumatized and/or abused — they call it the Trauma Informed Mind Body Program (TIMBo). Yoga Hope has helped women from all walks of life, from social workers to Haitians to stay-at-home mothers to women in prison. Their long-term goal is to help women renegotiate their self-belief through yoga and the awareness of inner experience. It is much less likely for women to turn to self medicate with drugs and alcohol once they have the regular support of Yoga Hope teachers and leaders. Off the Mat (OTM) was founded in 2007 by three powerhouse women: Sean Corne (my hero), Suzanne Sterling, and Hala Khouri. Their mission is “to use the tools of yoga to inspire conscious, sustainable activism.” Yoga starts within by urging us to look honestly at ourselves, but there is more. We are meant to collaborate with each other and use our personal transformations to better the world. OTM is working toward a global yoga community. OTM has raised more than $3.4 million for humanitarian relief, initiated more than 100 ongoing service projects, founded over 200 local community action groups, and trained 4,000 yogis to become influential leaders. Yoga Votes is a nonpartisan campaign that encourages citizens to be conscious participants in local and national politics. OTM leaders hosted Voting Circles and events in 2012, which resulted in thousands of individuals, dubbed YogaVoters, pledging to vote.